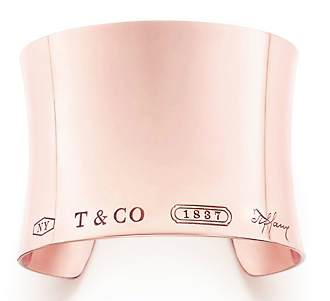 This year, Tiffany & Co. is celebrating their 175th anniversary. I've been wearing Tiffany since I got the ever-popular Elsa Peretti Open Heart necklace and Return to Tiffany chain bracelet as a teen. 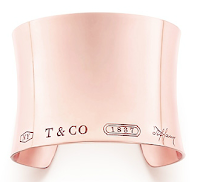 To celebrate the 175th anniversary, Tiffany & Co. has created a new metal called RUBEDO™ that is a unique metal "marrying the richness of gold, the brilliance of silver and the warmth of copper." 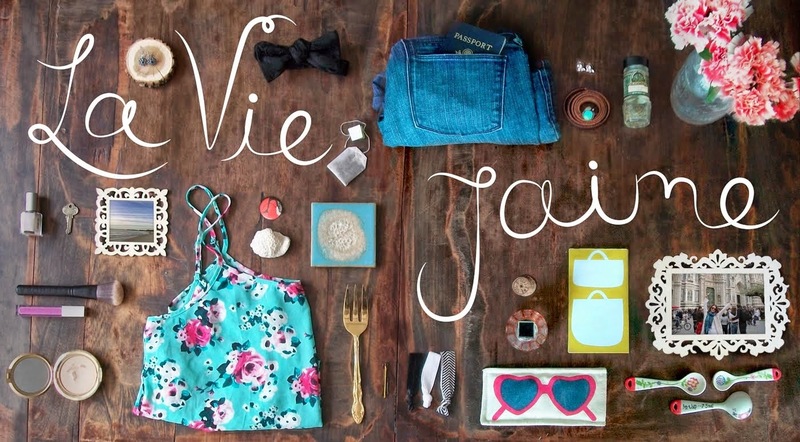 This exclusive jewelry line will only be sold in 2012! I perused the website and found my favorite splurge & save options. Thanks to Tiffany & Co. for sending me information on this new metal and for this chic, silver thumb drive! I am soooooooo buying myself one of those!!!!! You seriously cannot go wrong with their lovely products! Great cuff! It has the look of rose gold, which I always love. Oh my goodness what is that color?? Gorgeous!! So light and lovely!